The scorching heat of Australian summer definitely makes home pool more of a necessity than a luxury, there’s no doubt about that. The only real question you have left to ask yourself is if you should do it yourself and install the fence, or if you should pay for the installation. There are pros and cons for both services, explore it all and determine which option works better for you. If you really know what you are doing, you can save on labour costs by installing the pool fencing yourself. It will provide the option to make your own customisations and designs. With a perfectly installed pool fence, you will have the added satisfaction of a job well done. DIY pool fence installation can be a demanding task time and stress wise, especially if you do not have any previous construction experience. Getting the fence height just right, gathering the required materials, making the fences firm and keeping a consistent design can all be quite challenging, so without proper skill and expertise, there is a lot of room for errors. It will not have the professional finish. It has the potential to cost you more money in the long run if you make mistakes and install it improperly. There is the risk of not being compliant with Queensland regulations. Better end result. The finished product will be stable, safe and without fault. You will get expert advice on picking the right pool fence, to getting the right amount of materials, to keeping a consistent design. Close estimation of cost and time of completion. Pool fence will be compliant with current regulations. Hiring professionals for the installation task does mean an additional cost along with the required materials. 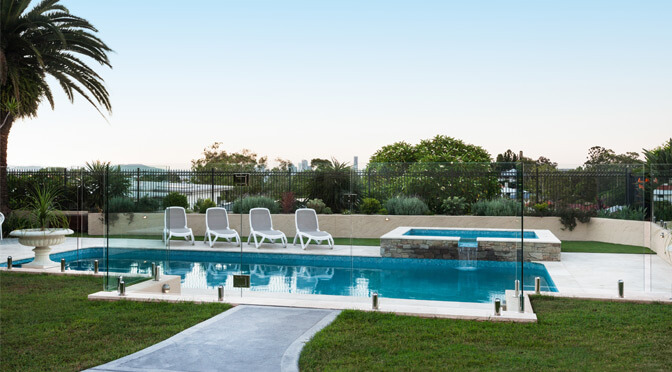 At SN Fencing, we provide quality service for glass pool fencing installation. If you are still confused about which way to go, feel free to reach out to us any day of the week. Our team will listen to your requirements and suggest the best possible option for you and your family.